Top civil servants in Britain have spoken and the reputation of ex-Prime Minister Tony "history will judge me" Blair has been shredded. The first evidence-gathering session of the Chilcot inquiry into the disastrous Iraq war has come to an end after three weeks of testimony from senior civil servants, generals, diplomats, advisers and intelligence chiefs. Some of that testimony has been self-serving; an attempt to deflect blame for the shambles that occurred after the invasion. But valuable information has emerged too. We now know more about when the fates began to be sealed on Iraq. Tony Blair took a decision in April 2002 at President George Bush's Texas ranch that Britain would work with the US in its efforts to topple Saddam Hussein from power. That, at least, was the clear implication of the testimony of Sir Christopher Meyer, the UK ambassador to Washington and Blair's senior foreign policy adviser, Sir David Manning. 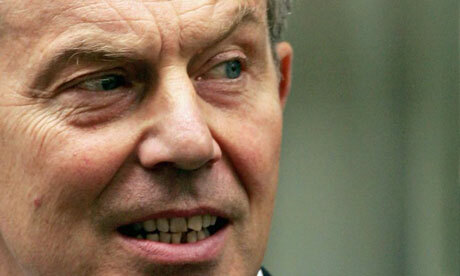 Blair looks in an increasingly uncomfortable position over the biggest blunder of his time in office. We also now see that there was an unseemly rush to invasion. According to Britain's ambassador to the United Nations, Sir Jeremy Greenstock, the war might have been prevented if weapons inspectors had been given more time to do their jobs. But the US military timetable plainly did not allow for that. The preparation for the aftermath of the invasion has been painted as utterly disastrous. According to Edward Chaplin, head of the Foreign Office Middle East department, and Major General Tim Cross, the British officer in charge of reconstruction efforts, post-invasion planning was virtually non-existent. The Americans, in Chaplin's words, "had a touching faith that once Iraq had been liberated from the terrible tyranny of Saddam Hussein everybody would be grateful and dancing in the streets and there would be really no further difficulty". As we know, it did not work out like that. Lt Gen Frederick Viggers, Britain's senior military representative in Iraq, told the inquiry that "amateurs" were placed in charge of the Coalition Provisional Authority in Baghdad. Other witnesses painted a picture of a grossly incompetent civilian command with officials who were in denial about the threat posed by the Sunni insurgency. And, humiliatingly, Sir Jeremy Greenstock, who went on to take a senior role in the CPA, claims that Britain was regarded as an insignificant junior partner by the US, neither consulted nor kept informed of developments. Of course we need to be sceptical of attempts by British generals and diplomats to pin the blame for the disastrous fate of the Iraq occupation on American stupidity, a line that handily absolves them of responsibility for the disaster that unfolded. And here a more adversarial attitude from the panel would have been beneficial. With the exception of Sir Roderic Lyne, the questioning has been very gentle. When the inquiry resumes in the new year and political decision makers come before the panel, it will need to harden its approach if it is to get to the bottom of things. We need to hear ministers properly cross questioned over this hapless foreign misadventure, not least on what their officials have revealed in recent weeks. Predictions that this inquiry would yield nothing of any worth, that it was nothing more than an establishment attempt to neutralise an inconvenient issue, have, happily, not been borne out by this first session. But the bigger test for this inquiry's effectiveness is still to come. 1 Response to "Damning picture painted by UK’s Iraq inquiry"